Software purchase is still an expensive affair for African companies. This has made dabbling in counterfeit software the norm for small and medium enterprises although it is not an option for most established brands. Open software has been a reality for many developers and ICT players around the globe. In Africa, companies are now finally embracing this ‘cheaper’ way of owning systems as more IT companies launch open source based solutions. Most people are familiar with open source projects such as WordPress, Joomla and Drupal which help users get their sites and blogs set up quickly. But there is more to open source than blogging. Most internal processes in companies need more advanced software protocols. Dominic Kebenei, an IT specialist at Kenya’s leading media outlet, Standard Media Group says that the implementation of an open software system did not only lower their costs but also provided an integrated approach in managing company software. “We had outgrown our previous approach to managing the various functions of the business and looked for a more integrated approach,” he said. The implementation of open source solution, built on top of Linux, helped the company to consolidate its finance, procurement, sales and distribution processes seamlessly. 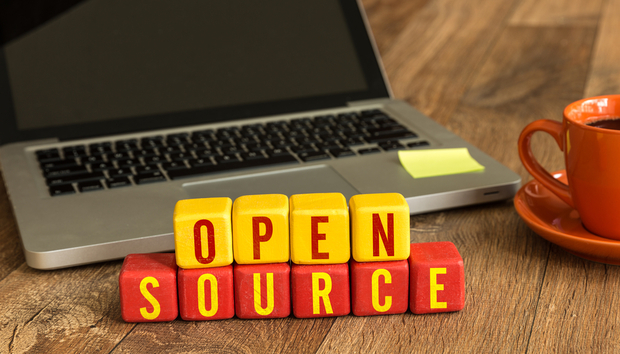 Shadrack Serem, the CTO of a development company in Nairobi, Netrix Business Systems Ltd concurs that the use of open source can help drive business initiatives. Serem has been using open software for the last five years to create websites but also engineer ERP systems used in companies. He is also an avid participant in the CMS Africa Summit that brings together open source techies from around Africa. “The main thing about open source is the community behind the projects, there is always a hive of contributors and reviewers participating in enhancing and advancing the project,” Serem told IDG Connect. Serem said that such advantages can push Africa companies in terms of technology deployments. However, working directly with open source platforms could pose dangers to users. Since the code is available to the public, malicious users could engineer attacks on various platforms. Lack of constant updates by end users could also expose them. “Being open also has its vulnerabilities, it means anyone malicious can access the project and take advantage of any security bugs that maybe there. Of course an active community will always patch those bugs easily but end users who take long to update their project may fall victim,” Serem said. Companies such as SUSE are now aggressively targeting the African market to deploy safe open software solutions to companies. SUSE which supports Linux deployment software in various industries aims to inspire African businesses to adopt the trend. The company has been operating in South Africa where Africa’s major industries and companies are based but now aims to attract business in East and West Africa. “We are actually looking to build skills, putting down a delivery channel inside of the East Africa region. We are not limited to East Africa but it is our first port of call outside South Africa,” Matthew Lee, Regional Manager for Africa at SUSE told IDG Connect during the company’s introductory tour in Kenya. Lee said that the response so far has been positive. The challenge has been to educate the target market on the difference between community open source and vendor supported open source. Vendor supported open source comes with the goodies of any open source platform but is customised to suit the need of a company or industry and provides greater support. The company also offers security features around the open source frameworks making it more reliable and user friendly to enterprise entities. Even as companies adapt this strategy in Africa, there are other start-up projects that have been leaning on the power of open sources software, and offering it to the world. The most known is the Ushahidi platform, that collects data through SMS and social media to geo-locate distress areas in times of mass tragedy. This service has been used in earthquake areas, helped out in Nigerian elections, and during various conflicts in Africa. The platform has been deployed over 90,000 times. Mbuni a platform in Uganda has also opened up opportunities for start-ups to take advantage of multimedia messaging. The service is an open source project which incorporates the Kannel Project that helps developers integrate SMS and MMS. In August this year, the Ugandan National Information Technology Authority will hold a conference that will aim to push the use of free open source software (FOSS) after it had adopted the use of FOSS, in its policies. He added that FOSS adoption would enable Ugandan software designers to produce and sell quality product within the country and internationally. Having well constructed policies around the use of open source would help governments lower their IT costs and also encourage innovation systems in government departments. Lee from SUSE, added that companies around Africa know about open source software but do not understand how to import it into their operations. He encouraged African companies to think open source first as their developed nations’ counterparts. Being a developer, Serem sees that this will help in nurturing innovation talent within the African tech ecosystem. “Having participated in organising CMS Africa Summit I have seen how open source content management systems have [already] helped change the African dialog,” he said.